EAST LANSING — Longtime Lansing resident and Michigan State University Alumnus Joshua Davis will be coming home to perform at the Wharton Center’s Cobb Great Hall in East Lansing for a Welcome Home Concert. The 8 p.m. performance on June 26 will also reunite Davis with his longstanding group Steppin’ In It. 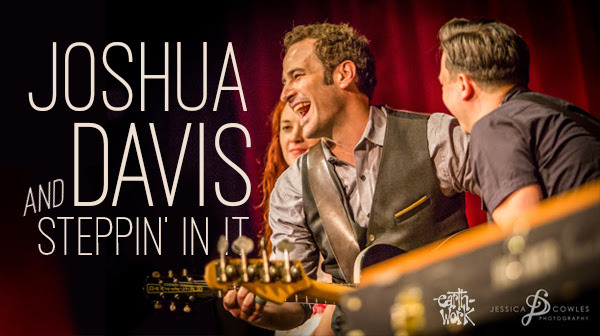 During February’s national television debut Joshua Davis’ made now famous ‘blind audition’ on The Voice. He instantly won the favor of the judges and over 1 million YouTube viewers. During the season Davis proudly represented his music and his home state of Michigan. He made it to the finale of “The Voice”, by placing numerous songs in the Top 10 of iTunes. Davis broke barriers on the NBC stage becoming the first artist in eight seasons of The Voice to perform an original song, catapulting the singer’s talents beyond the national spotlight. In the finale of “The Voice,” Davis performed live with judge and Maroon 5 vocalist Adam Levine plus nine-time Grammy award winner Sheryl Crow. Tickets for the concert are $28 and $53 and are available now. The higher-priced VIP tickets include a post show Meet & Greet with Davis. For tickets information, visit www.whartoncenter.com.